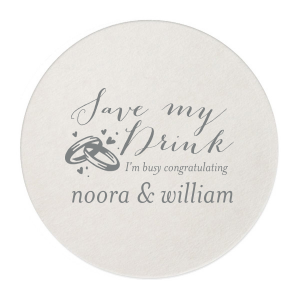 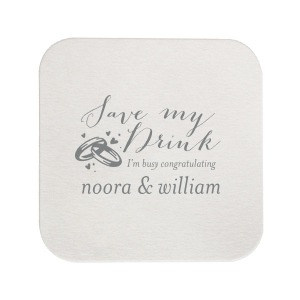 Customize your coasters for a special bar detail that will protect surfaces (and drinks!) 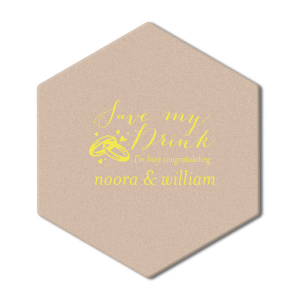 and can also be used as a personalized party favor. 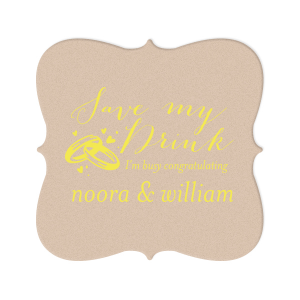 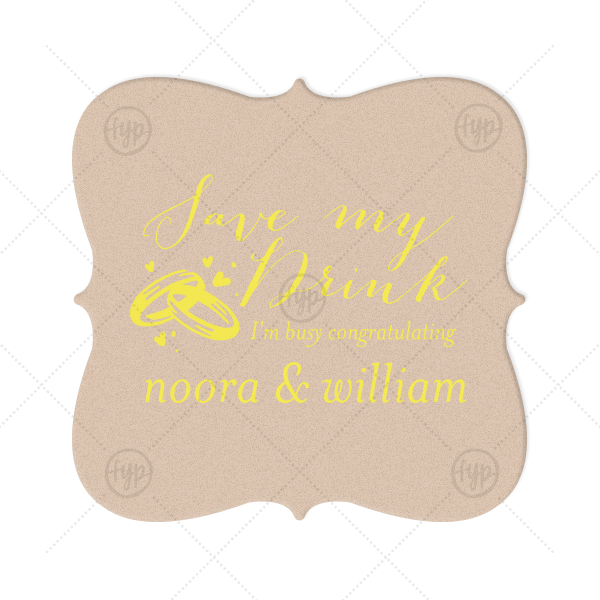 Pair your names with our elegant calligraphy and Wedding Rings graphic for a detail guests will adore.